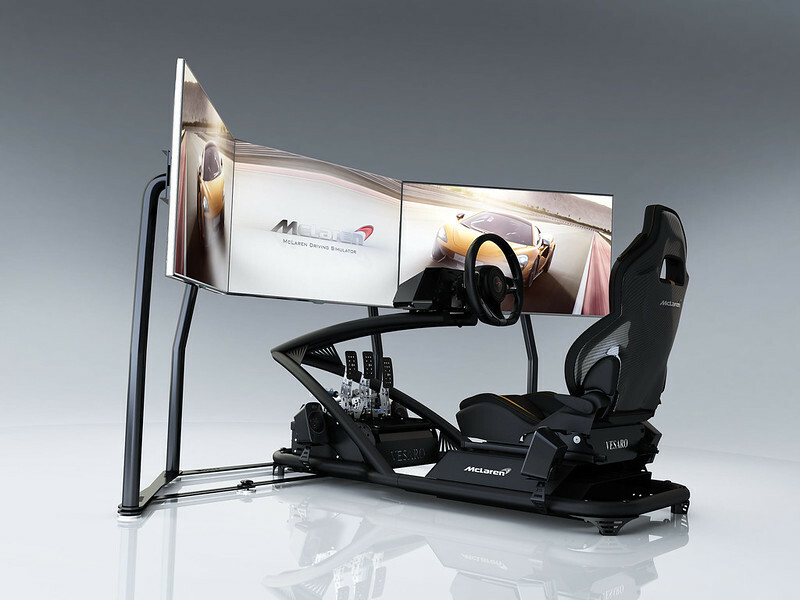 Recently, McLaren seems to have developed a keen interest in the sim racing world. Only last week the McLaren Formula 1 team announced a partnership with the Swiss technology company Logitech. 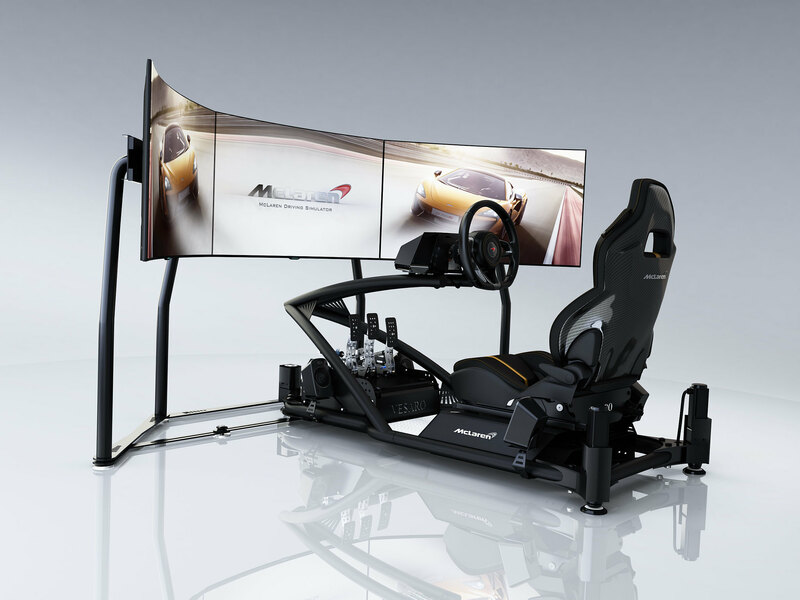 This reminded us to inform you that yet another division of the McLaren Group has made its way into the world of domestic yet higher price range racing simulators. In collaboration with Mclaren Automotive, the British Vesaro Simulators brand introduces the McLaren driving simulator range. 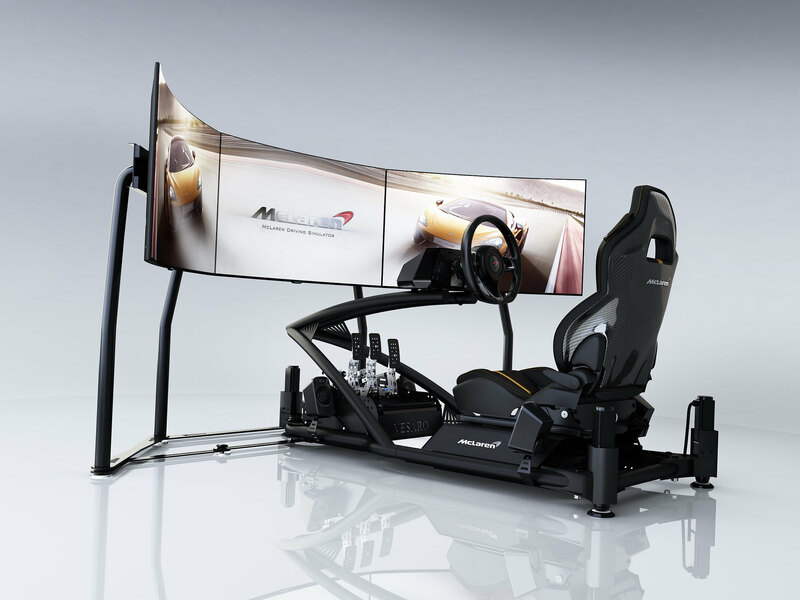 This range of high-end sim-racing chassis is bringing subtle design elements and authentic components from the McLaren sportscars into an existing top-spec simulator system. 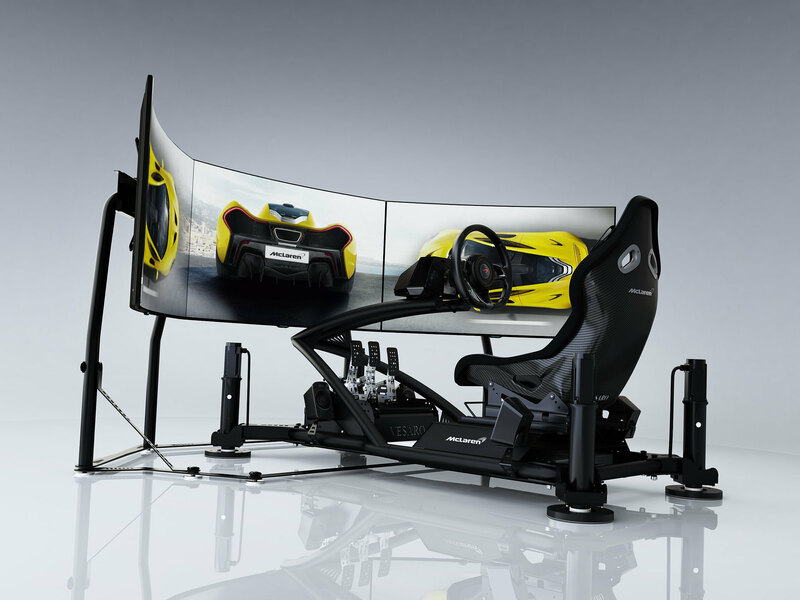 The Vesaro/ McLaren Simulators are designed under an exclusive license in collaboration with the design team at the McLaren Technology Centre, in Woking. The simulators have been through a vigorous testing and approval process headed up by the chief test driver for McLaren Automotive. 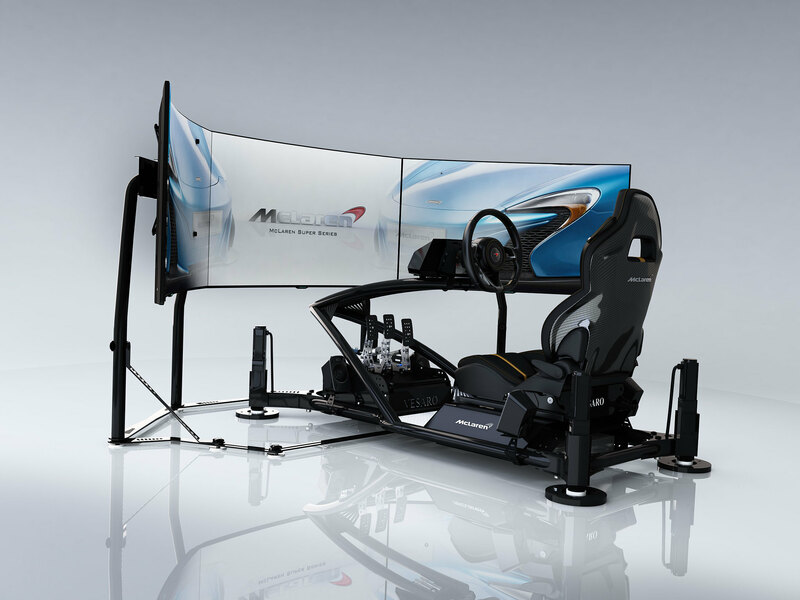 Vesaro offers 9 different McLaren range simulator models that offer an increasing level of performance and features, including full motion, intelligent tactile feedback, wraparound immersive displays, professional direct drive force feedback steering systems and optional virtual reality headsets. The 9 models are divided into 3 product groups. 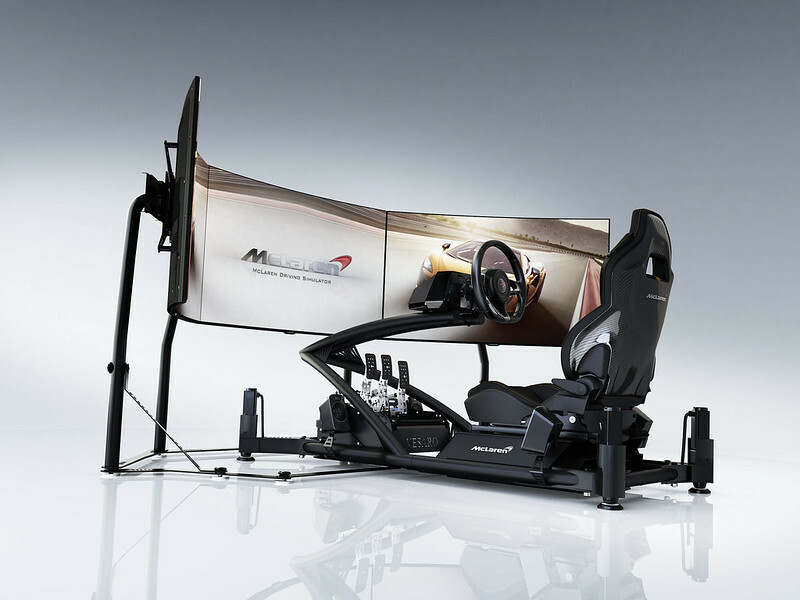 The McLaren Sports Series Simulator, McLaren Super Series Simulator, and the McLaren Ultimate Series Simulator flagship series. The simulators feature authentic components taken directly from the McLaren cars such as the genuine McLaren production wheel from the 570S including the paddle shifters. 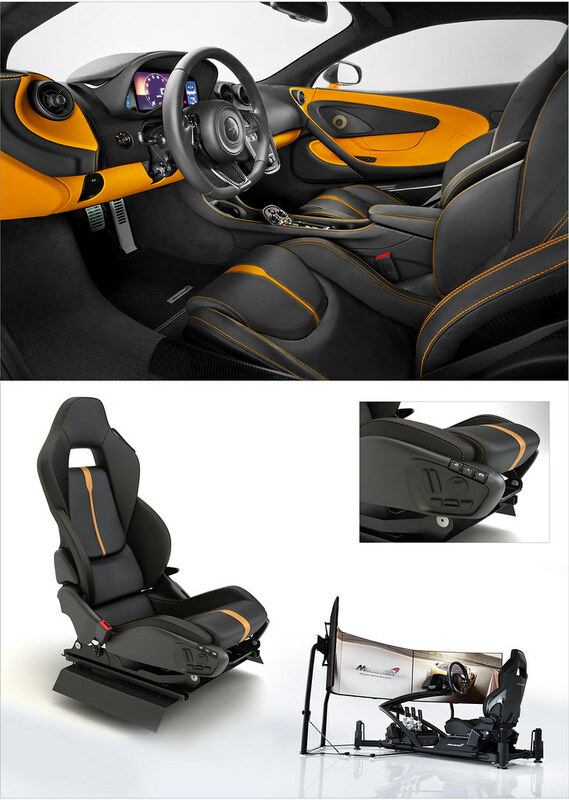 Certain models include a fully electric adjustable seat with the full range of adjustments available in the road car, including lumbar support, height, distance and recline functions. Furthermore, the simulators include various high-end features such as professional direct drive force feedback steering systems, on-board integrated audio utilizing low profile subwoofers discreetly located underneath the seat and audio amplifiers built directly into the simulator and an onboard integrated computer. The simulators come with a range of software titles providing real-world circuits for driving a wide range of virtual McLaren vehicles. The higher spec simulator models feature the D-BOX motion technology which offers up to 3-Axis full rig movement with Heave, Pitch, and Roll, as well as a multi-position intelligent tactile feedback system. The McLaren simulators are compact in design and out of the box require nothing more than two standard household plug sockets. 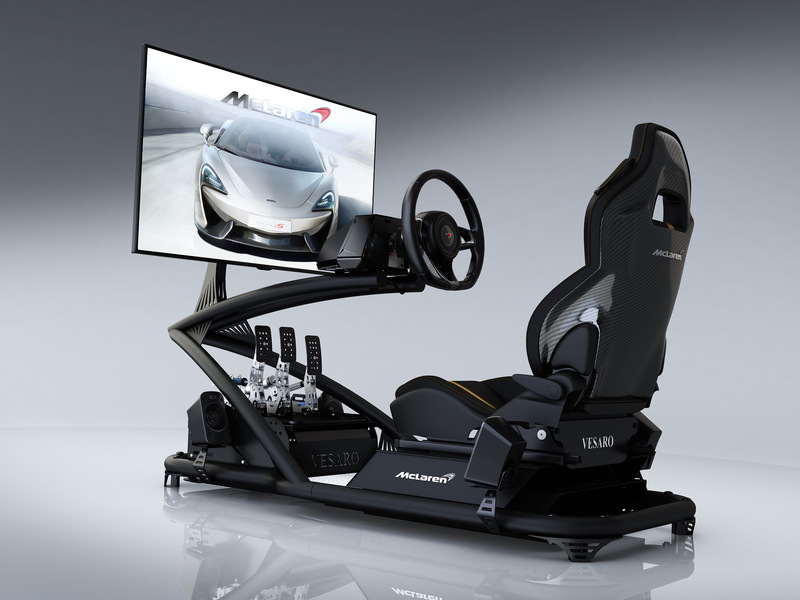 The Vesaro McLaren Simulators include a 2-year warranty with 7 days per week telephone support, remote PC login support and a full restore PC image backup. Featuring an authentic McLaren wheel rim and fully electric McLaren seat, combined with our McLaren specific simulator frame, high end direct drive force feedback system, onboard fully integrated 5 speaker audio system with low profile subwoofer, fully integrated onboard computer, custom dashboard, professional pedals, Single 46 inch visuals and full Plug and Play factory assembly. Featuring an authentic McLaren wheel rim and fully electric McLaren seat, combined with our McLaren specific simulator frame, high end direct drive force feedback system, onboard fully integrated 5 speaker audio system with low profile subwoofer, fully integrated onboard computer, custom dashboard, professional pedals, triple 46 inch visuals and full Plug and Play factory assembly. Featuring an authentic McLaren wheel rim and fully electric McLaren seat, combined with our McLaren specific simulator frame and featuring 2 actuator 1.5 inch D-BOX motion technology with 2 point intelligent Tactile Feedback, high end direct drive force feedback system, onboard fully integrated 5 speaker audio system with low profile subwoofer, fully integrated onboard computer, custom dashboard, professional pedals, triple 46 inch visuals and full Plug and Play factory assembly. Featuring an authentic McLaren wheel rim and fully electric McLaren seat, combined with our McLaren specific simulator frame and featuring 3 actuator 1.5 inch D-BOX motion technology with 3 point intelligent Tactile Feedback, high end direct drive force feedback system, onboard fully integrated 5 speaker audio system with low profile subwoofer, fully integrated onboard computer, custom dashboard, professional pedals, triple curved 48 inch visuals and full Plug and Play factory assembly. Featuring an authentic McLaren wheel rim and fully electric McLaren seat, combined with our McLaren specific simulator frame and featuring 4 actuator 1.5 inch D-BOX motion technology with 4 point intelligent Tactile Feedback, high end direct drive force feedback system, onboard fully integrated 5 speaker audio system with low profile subwoofer, fully integrated onboard computer, custom dashboard, professional pedals, triple curved 55 inch visuals and full Plug and Play factory assembly. Featuring an authentic McLaren wheel rim and fully electric McLaren seat, combined with our McLaren specific simulator frame and featuring 4 actuator 3 inch D-BOX motion technology with 4 point intelligent Tactile Feedback, professional direct drive force feedback system, onboard fully integrated 5 speaker audio system with low profile subwoofer, fully integrated onboard computer, custom dashboard, professional pedals, triple curved 55 inch visuals and full Plug and Play factory assembly. Featuring a genuine McLaren wheel rim and bucket carbon racing seat, combined with our McLaren specific simulator frame and featuring 4 actuator 6 inch D-BOX motion technology with 4 point intelligent Tactile Feedback, professional direct drive force feedback system, onboard fully integrated 5 speaker audio system with low profile subwoofer, fully integrated onboard computer, custom dashboard, hydraulic pedals, triple curved 55 inch visuals and full Plug and Play factory assembly. McLaren Ultimate Series – Tier 1 + VIP On-Site Service. Vesaro was founded in 2010. The aim was to develop a range of products for Home, Commercial Entertainment, Professional Driver Training and military applications. 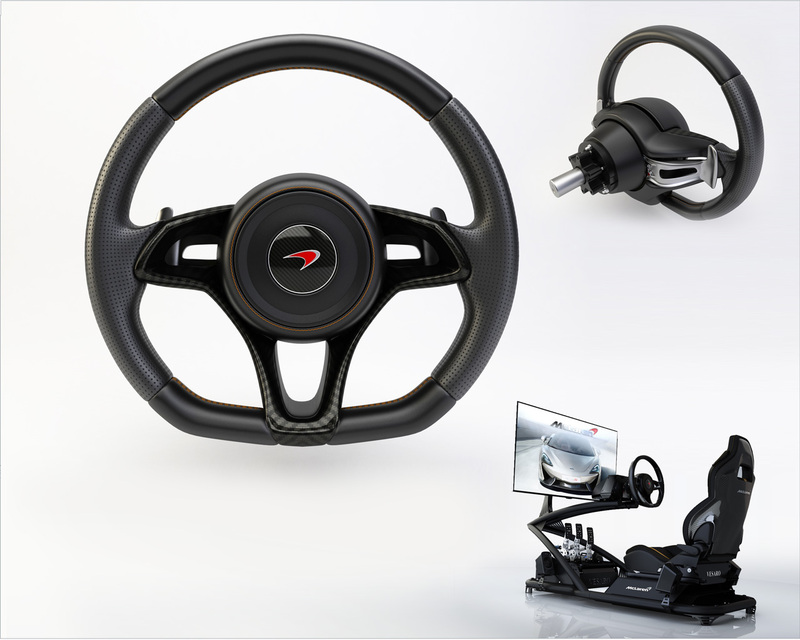 The Vesaro system is based on an ultra-strong handcrafted center core that can be adapted to your personal needs offering customizations such as the type of finish, different steering setups, ButtKicker seat shaker, D-Box motion physics system, surround sound, LCD screen attachments, surround sound audio attachments and more.